Every year, one of Beautify CNMI! 's premier partners--PDM Promoters, Inc.--invites schools to participate in the Tree-Decorating Contest at the Paseo de Marianas using recycled materials. This has become a *favorite* annual event and we are grateful to the nice folks at PDM Promoters for the generous opportunity it grants the schools to raise funds (prize money) for their school activities. As part of the on-going holiday festivities, PDM Promoters also invites the public to the JUMBO Christmas Tree Ribbon Decoration. Tie a ribbon on the tree to represent your favorite cause. Of course, don't forget to include a green ribbon or two to represent Beautify CNMI! and the other environmental groups. Thank you! Everyone is welcome to participate in this. Please see below for details. Arigato Gozaimasu, Olomwaay and Si Yu'us Ma'ase, PDM Promoters! A new Jumbo Christmas tree is up at Paseo de Marianas...It will be ready for visitors there to tie ribbons of their choice with their wishes written thereon, beginning on this coming week's Street Market night on Thursday, December 1. The lighting ceremony program begins at 5:30 p.m. on that evening. See also last year's report attached. Those who like to make brief appeals for their causes on behalf of their organizations at the lighting ceremony to the gathering audience, please advise me. Thank you for your usual understanding and cooperation. To provide for and act as a forum or an avenue for the promotion, coordination and/or collaboration of collective activities by the businesses located on the Paseo de Marianas pedestrian mall, Puntan Muchot, Garapan, Saipan, and any other locations in the CNMI designated by the Board of Directors from time to time, all within the confines of exempt purposes in order to lessen the burdens of the government, lessen neighborhood tensions and/or combating community deterioration and juvenile delinquency, as set forth in NMTIT Section 501(c)(3) . This week only, the CNMI Energy Division is at the Multi-Purpose Center in Susupe (until Thursday) providing the community with important information about how to conserve energy. Meet with Energy Division Specialists to learn simple tips and tricks that you can use to help lower your CUC power bill. No appointments necessary...just drop by between 9am-4:30pm. Stop by the Multi-Purpose Center with your CUC bill in hand and qualify for free give-a-ways, including energy saving light bulbs for your home or office. You will find a familiar Beautify CNMI face in this documentary about shark conservation in Fiji. First Friday Films will be featuring BBC’s Wild Pacific: Ocean of Islands tomorrow, November 4th, 6:30pm at American Memorial Park Visitors Center. 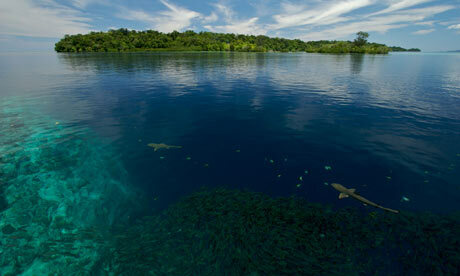 BBC’s Wild Pacific: Ocean of Islands presents an overview of the natural history of the region. This landmark series explores the sheer scale and majesty of the largest ocean on Earth. The film will also detail the methods of formation of its islands, the diverse ecosystems, the extraordinary journeys wildlife and humans have gone through to reach these specks of land, and how both have adapted to life here. For planning purposes, the movie runs about 80 minutes long. As always, First Friday Films is free and open to the public. Seating is limited, please arrive early to ensure admittance.